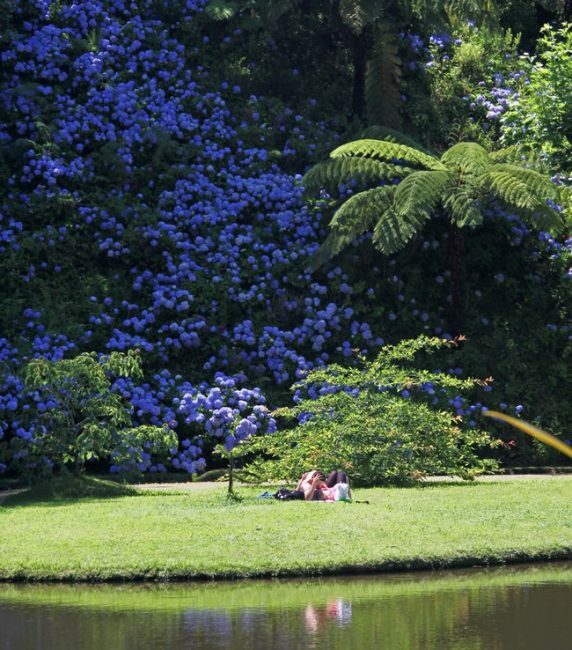 The Azores islands are nine exotic islands in the mid-Atlantic ocean, known for their amazing flora and fauna which extends far past the endemic plants of the island. These vibrant and strikingly different islands make up a green, hilly, and flower-filled volcanic paradise in the middle of the Atlantic Ocean. All of the islands are breathtaking, and each of them offers sensational and special features, which have inspired a chromatic set of nicknames. 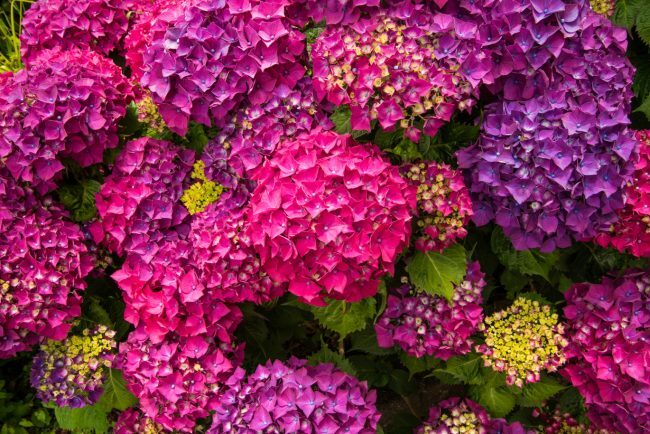 The most recognized symbol of the region is the hydrangea plant, which can be found in various colors, shapes, and sizes there. 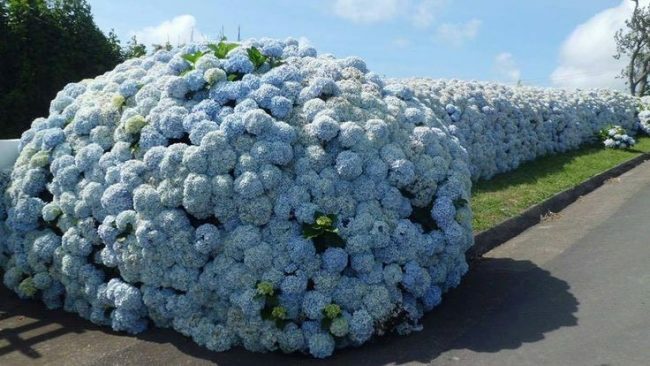 In the spring and summer, you can see numerous shades of blue, pink and white hydrangeas. 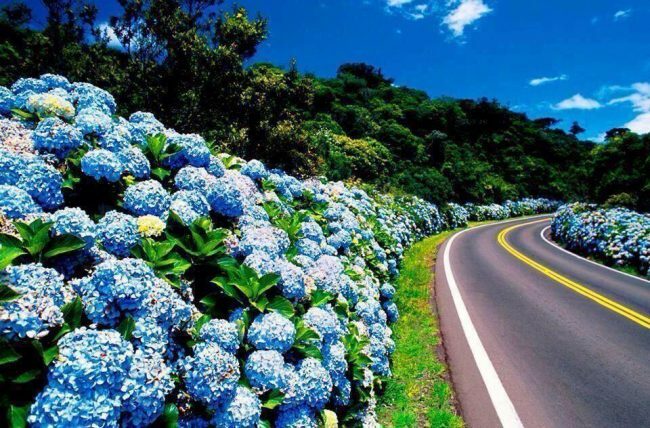 Thousands of blue hydrangeas blanket the landscape of the island of Faial, also known as The Blue island. 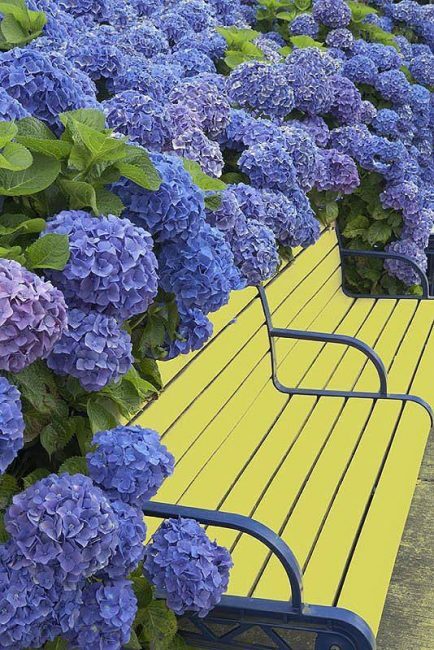 Their unique blue color is a result of the acid in the soil and the high aluminum content. 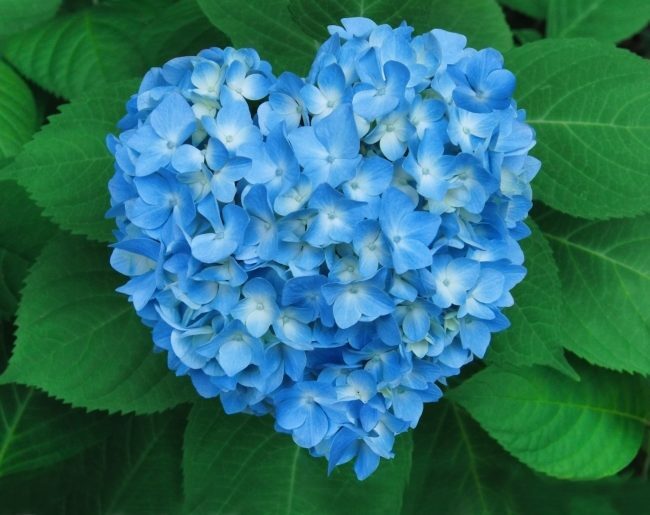 Hydrangeas require moist, fertile, well-drained soil, and they grow best in soil that has a pH of 5.0- 5.5. You can still grow these flowers in your garden even if you do not know its pH, but the flowers will simply bloom pink or white. These unique flowers are also very popular on the east coast of the United States. It is believed that they were brought to Nantucket from Azorean fishermen who relocated to the island in their search for a better life. The wives took the seeds of these prized flowers on their transatlantic journey from the Azores to America, planning to cultivate the plant in their new homeland of Nantucket. Nowadays, you can see these beautiful flowers everywhere in the Azores and especially in Faial and Sao Miguel. 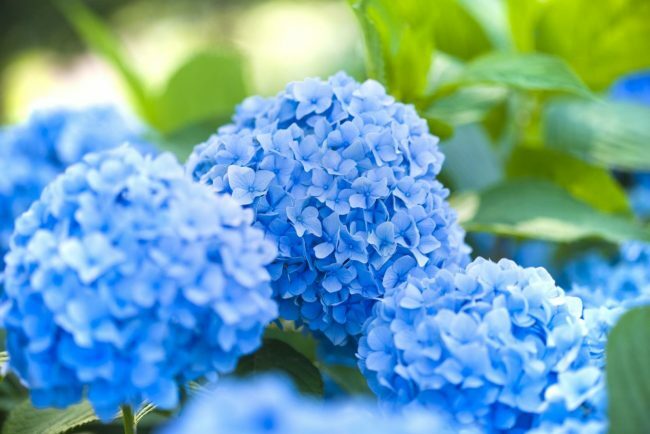 Since their beauty enriches the roadways for locals and tourists, it is illegal to pick the hydrangeas from the public gardens or countryside. The towns have the responsibility to maintain a certain level of flora along the roadside, while locals work at the “Junta” cutting, trimming and planting these attractive flowers annually. 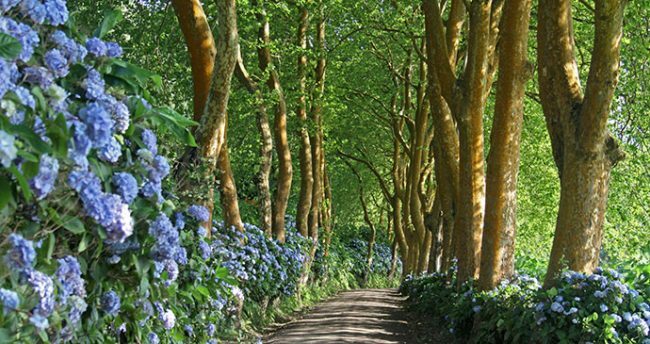 Despite the unique flora and fauna, and the fascinating hydrangeas, these islands have a lot more to offer to tourists as well, even though they remain a largely undiscovered gem in the middle of Atlantic Ocean, and have therefore maintained an old world charm.